I love wedding photography in Atlanta! As a wedding photographer in the metro area I get to shoot at so many locations. When I meet with a couple I try to find out where they meet and get to know them more than just as a photographer. 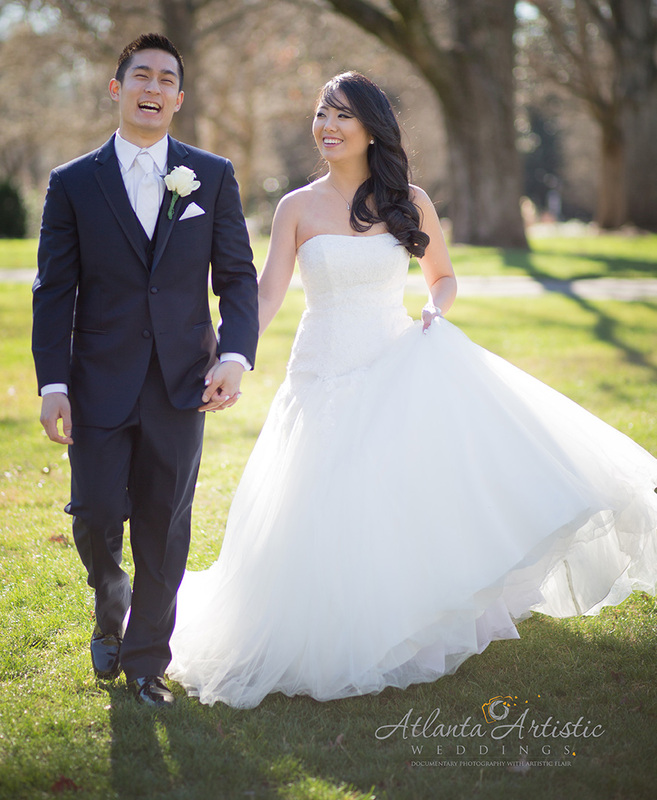 This wonderful couple meet at Emory University and feel in love. They could have not been nicer! When I found out that they meet at Emory I said why don't we do your wedding photos there. They have a great campus with so many places to shoot at! She agreed, he agreed and finally the weather agreed! Using just natural light we had such a fun time with the wedding photos. When we got there we meet the family and did the first look. They were so thoughtful towards each other. They exchanged vows to each other with the family and parents present. Once they were finished they wanted to get out there and do their photos. We started at the business school and ended up at the quad in the middle of campus. The lighting was perfect! They had such a great attitude and were such fun to shoot. She braved the slight chill in the air. During the photo session they just laughed and had such a great time while their friends cheered them on. Thank you so much for visiting www.atlantaartsiticweddings.com . I would love to hear from you. Please feel free to contact me and I will be happy to help in any way that I can.